Typhoon Haiyan – Beware the Comfort Zone! This morning, we woke up to cloudy skies, a light breeze, and cooler temperatures. All three of these things are rare here in Davao, and they are normally welcomed with open arms and celebration (“Yay! Only 80 degrees today!”), but it’s eerily reminiscent of almost one year ago. 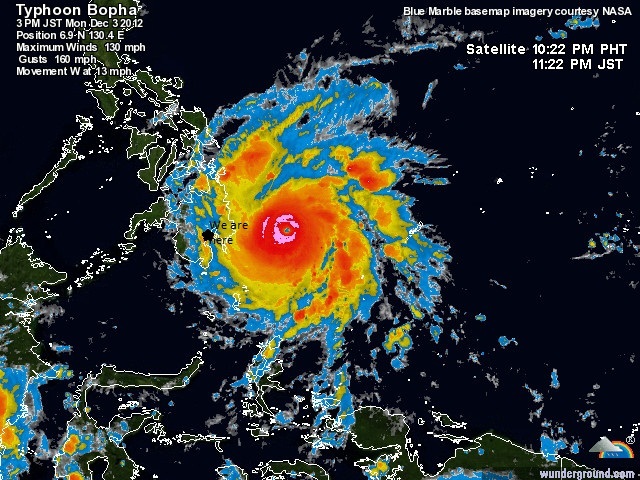 December 6, 2012, Typhoon Bopha roared onto Mindanao, killing thousands and doing property damage beyond anything imaginable. As Bopha approached, it’s unpredictable path kept us on high alert, wondering if we would experience our first major tropical storm. Fortunately, it spared us, but permanently affected the lives of our neighbors to the north. The next several months led us in a pattern of relief trips, rebuilding projects, and unexpected residual anxiety. Today, the weather conditions, the satellite maps, and the impending sense of fear hovering over the city feel all too familiar. Now, Typhoon Haiyan, way too similar. 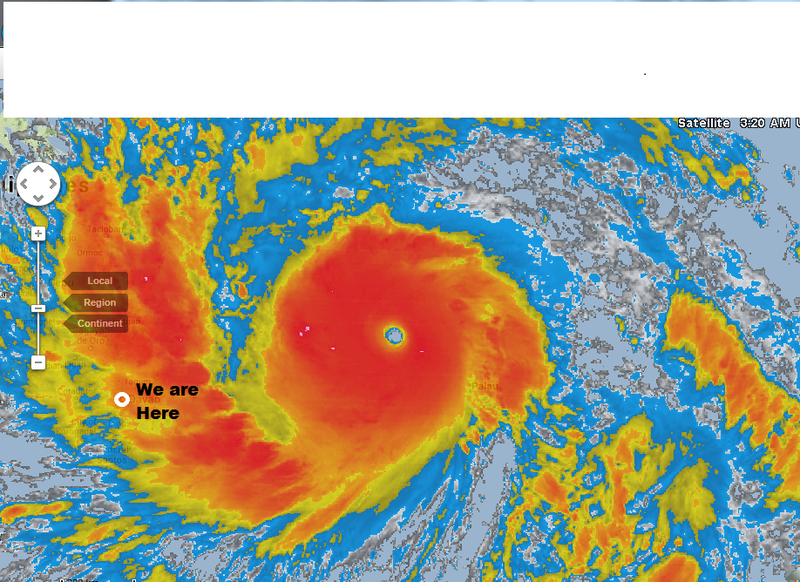 Now again, “Super Typhoon” Haiyan it slowly creeping towards the Philippines. Larger and stronger than Bopha, it’s scheduled to hit land Friday morning. Again, we will likely be spared, but Bohol and Cebu, to the north, will not. They are still recovering from a 7.2 earthquake just 3 weeks ago, reducing options for solid, stable, evacuation hubs, and increasing fear and hopelessness at an exponential rate. We see these stories on the news. We hear the numbers. It becomes another tragic news story, with faces of generic people and generic locations splashed across our TV and computers screens. But when it’s happening in your backyard, the nauseating pit in your stomach is so hard to ignore. We see pictures of familiar locations, and hear stories from friends worried about loved ones they have yet to hear from. There is collective worry leading up to the event, and collective, shared sorrow afterward. And, I’m not going to lie. I feel a bit angry. Not at God, but I wonder, why does this nation keep getting hammered? These are good people. This is not “God’s wrath”, so why does this keep happening? I know there’s no answer, but it’s just a hard reality to swallow sometimes. And exhausting to know how powerless we are. While we are thankful that it’s “not us”, and we believe that God is bigger than this storm, and it could fall apart at any time, the next few days will be rough. Please pray for us, and for the people of the Philippines. We will keep you all updated.